A trip to the WSPK transmitter site on a pleasant day, or, one could say, another day at the “office.” Tower painting season is here, I’ll post some more about that later. This is a nice set of pictures from the top of Mt. 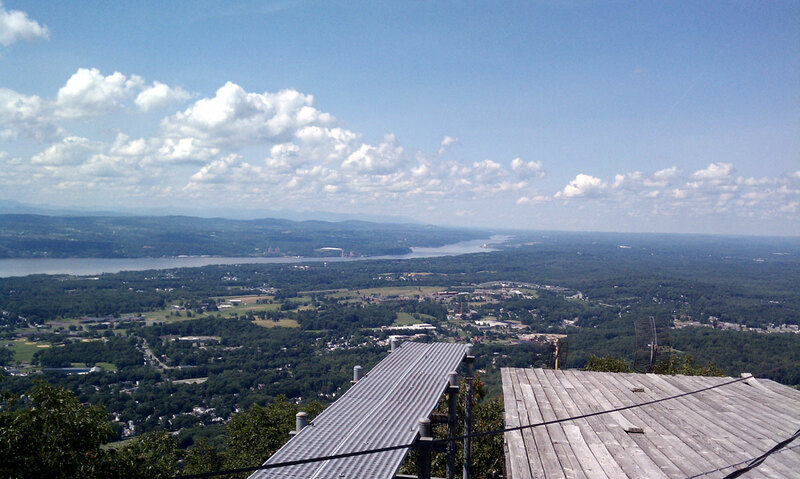 Beacon, in Beacon, NY. It is a cute little thing. 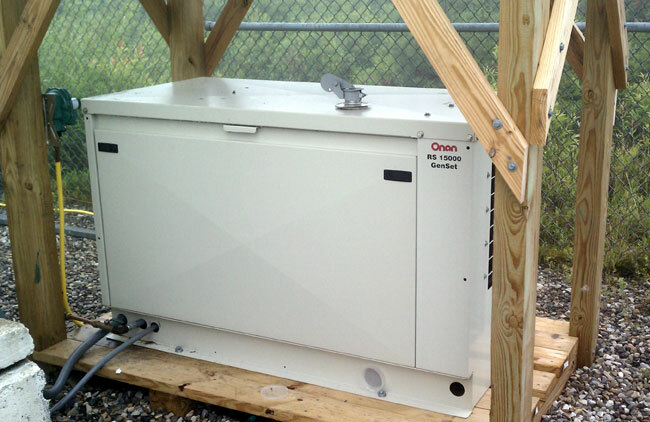 This one is being installed at a mountain top transmitter site for a class A WKIP-FM in Ellenville, NY. It is way up in the air (at least by local standards) at 2,450 feet AMSL. 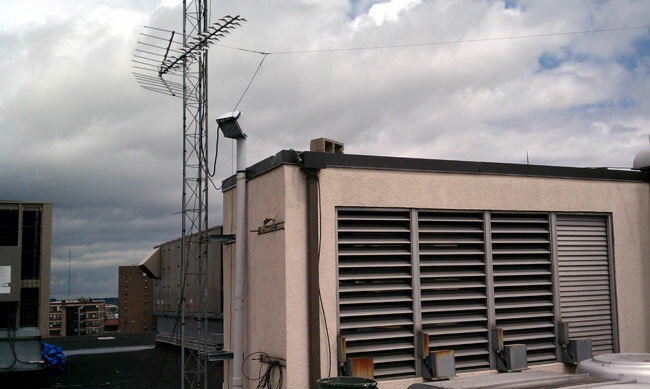 As such, the TPO is only 300 watts into a one bay antenna. 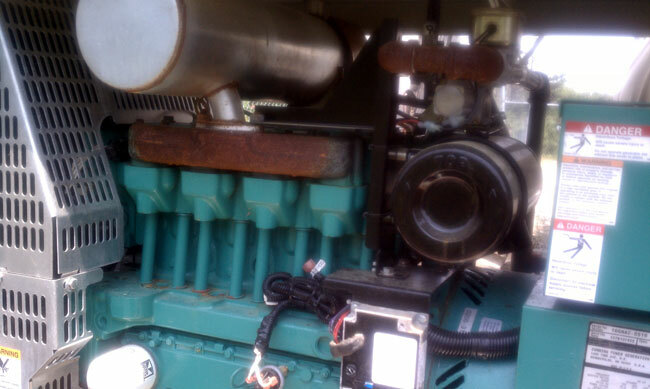 Therefore, even this little generator will be loafing along. I added all the rack equipment up, both transmitters (main and backup), and the electric resistance heater and came up with a grand total of 6,300 watts. The working load today was 3,200 watts, which I would assume is about average. Denis, my sometimes helper, build an ice shield over the top of the unit with pressure treated wood. 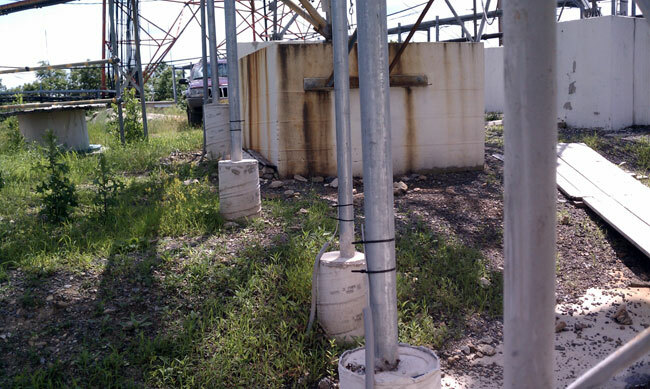 This unit was placed about 40 feet away from the 140 foot tower, next to the concrete block building. Still, on a windy day, I could see some chunks of ice flying off the tower in this direction. It has a Lister/Petter 1900 cc engine, 1800 RPM, 240 volt split phase generator. At 25% load, it burns 1.2 gallons of propane per hour. This is annoying. The gas installer blocked access to one of the through holes in the bottom of the enclosure frame. Actually, more than annoying, downright annoying as it blocked the exact center of the hole. 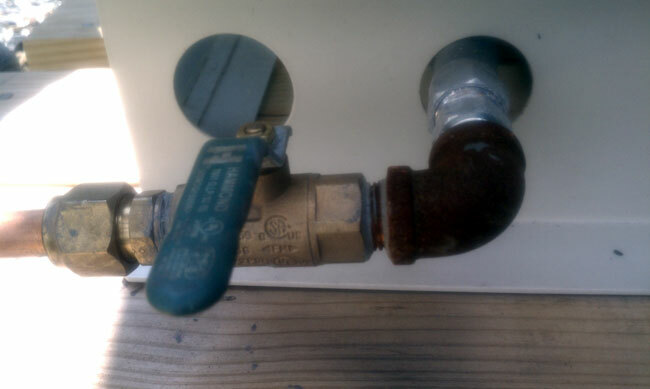 I had to move the regulator up about two inches so I could run the 1 inch flex under the gas line. This, in turn, led to some amount of swearing. Push rods going to rocker arms over the cylinders. Low tech, under head cam engine. That’s okay, so long as it works when it is supposed to. 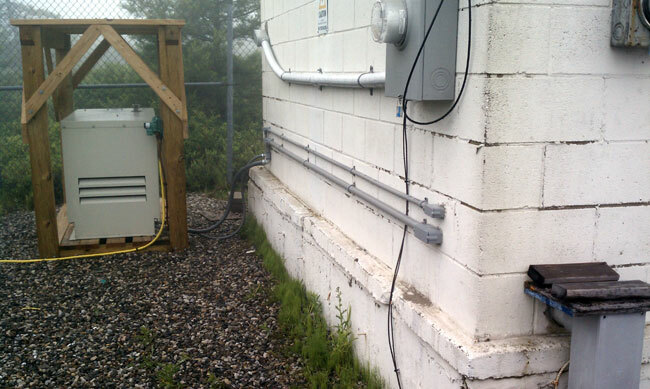 PVC conduit running into the transfer switch. The final connection is made with liquid tight flexible metal conduit (FMC). The control wiring is run in a separate 1/2 inch conduit, as required by NEC. Happy birthday to us! I was looking through the past posts of this blog and found much of it still relevant today. There were some older video posts where the videos are no longer available on youtube, those were deleted. 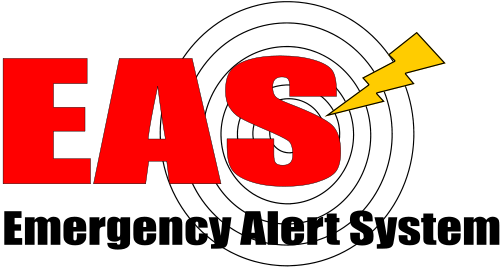 I continue to look for subjects to blog about while keeping the subject matter pertinent to broadcast engineering or some aspect of radio in general. With so many things going on, this can be hard to do. Which brings me to this; I use an aggressive $pam filter. There is no way that I would be able to keep up with the number of junk comments received otherwise. If you have posted a legitimate comment and it doesn’t show up after a period of time, e-mail me and I’ll look into it. Chances are very good that some legitimate comments have been deleted by the $pam filter, for which I apologize. Many of my unique visitors come from Google searches which is strange considering it’s page rank is 0/10. I continue to enjoy blogging about the everyday life of a broadcast engineer and thank all of my readers and subscribers for their interest. It is entertaining and enlightening to read all of your comments and e-mails. For as long as there is interest, the writing project will proceed. 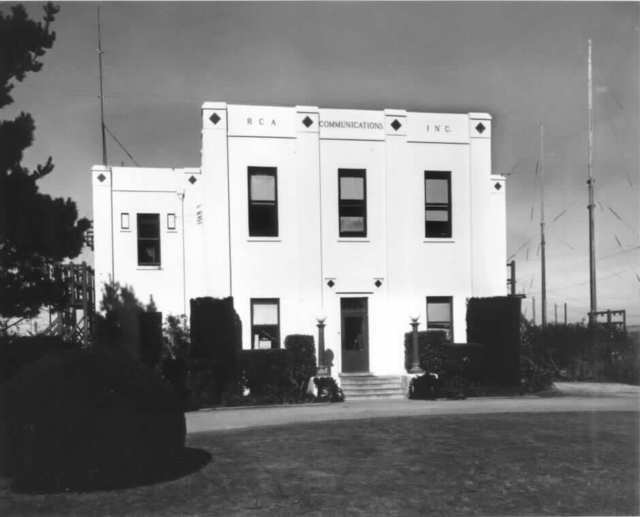 We don’t have any longwave stations in this country, other than the governments failed attempt at using long wave (WGU-20) for emergency communications in the 1970s and 80s. 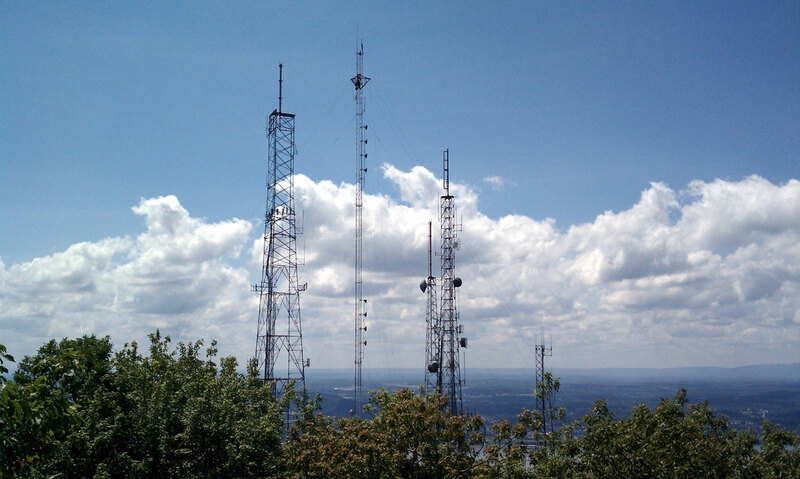 In Europe, Longwave continues to be used, mainly because of its excellent ground wave propagation can cover large distances without fading or interference. 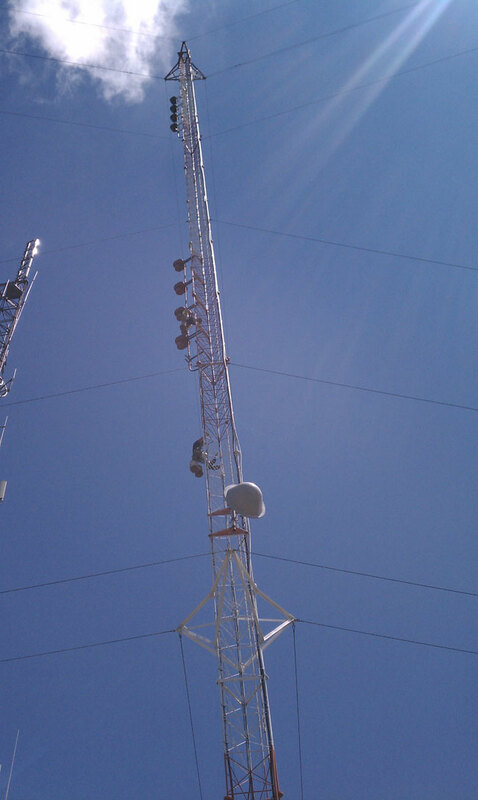 Several have closed in recent years due to the expense of maintaining tall radio towers and higher quality programming sources. 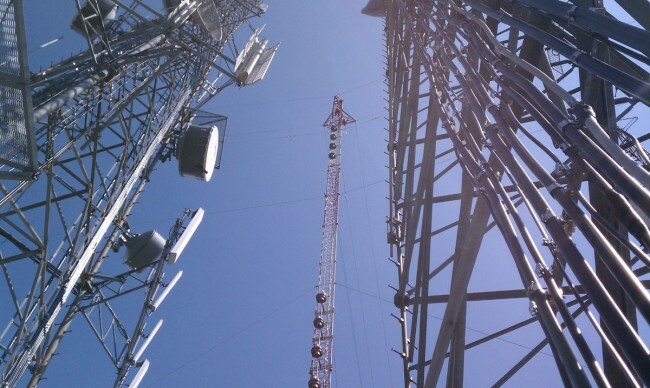 This is a video of the transmitter site for Atlantic 252 in Ireland. Atlantic 252 went defunct in 2001, however, the frequency is still in use by RTE radio 1. 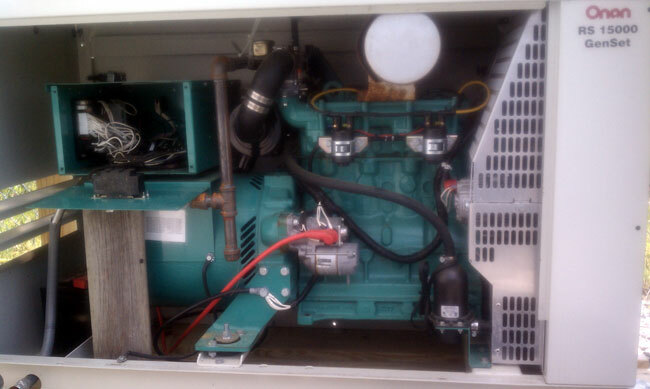 500KW is quite a bit of power. 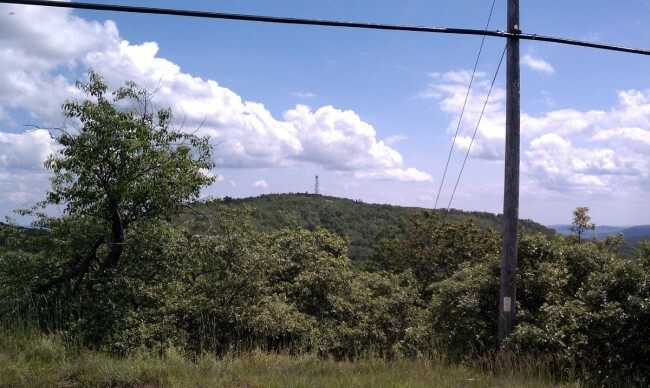 The antenna mast is 248 meters, or 813 feet tall. 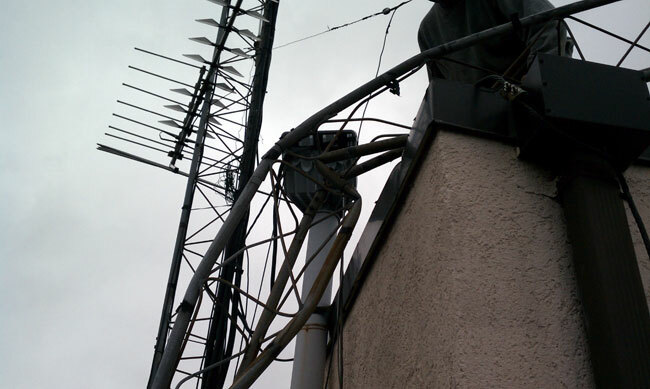 Interestingly, RTE discontinued service on MW (AKA AM broadcast or standard broadcast) but left this signal on the air. Reportedly, this station has less power but better coverage. Damaged in last year’s F1 tornado, this thirty foot Rohn 25-G tower needed to be removed from the roof. It actually went faster than I though it would, the worst part being moving the 4 foot tower sections down to the salvage truck via elevator. Naturally, the day we choose to do this is the same day that one of the two elevators servicing the seventh floor is out of order. This was the same tornado that picked up a twenty ton roof top air conditioner and deposited it in the parking lot. Luck would have it that no one was killed or injured. 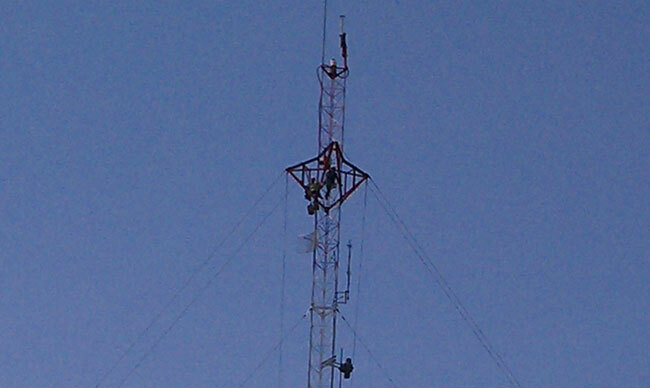 Using a circular saw with a metal blade, a sawsall and a hand grinder, the tower was cut up into four foot sections. 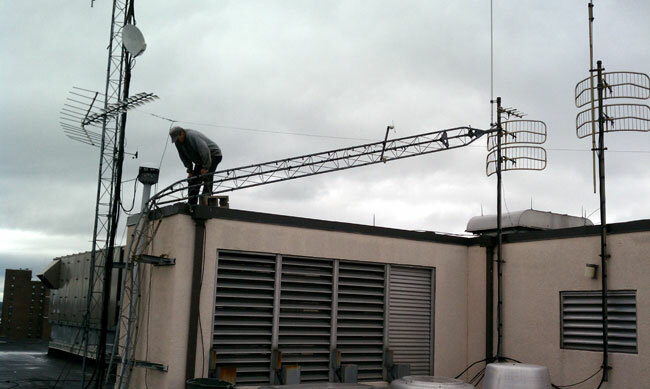 The sections, brackets and tower base were taken to the scrap yard and disposed of. 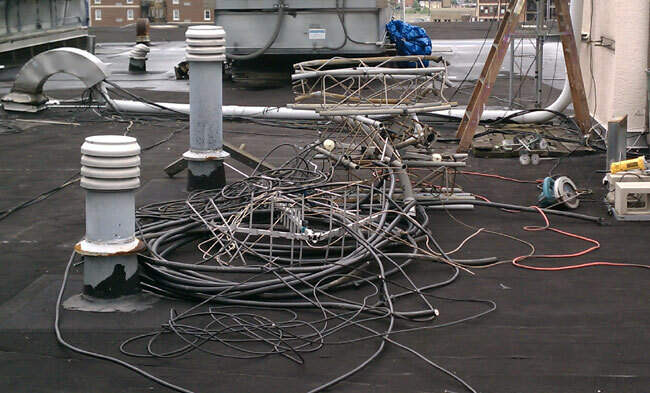 There were several lengths of unused 7/8 inch foam coax, broken antennas, RG-59- RG-58, RG-6, rotor cable, etc that we cleaned off of the roof and tower. A good little project to have completed. The studio build out for WEBE is also nearly done. August will mark one year of our company’s involvement at WICC/WEBE. I was looking around today and comparing the difference between when we started to now. Many things have been done.